Terror Films and Shudder have teamed up to give audiences a taste of hell, with Stephen Cognetti’s Hell House LLC II - The Abaddon Hotel will be released on Shudder on September 20th. Also: Yellow Veil Pictures acquires the cosmic horror film Starfish for worldwide distribution, London Horror Festival 2018 lineup unveiled, the new Ghost Light trailer, and Daughter of Dismay production details. 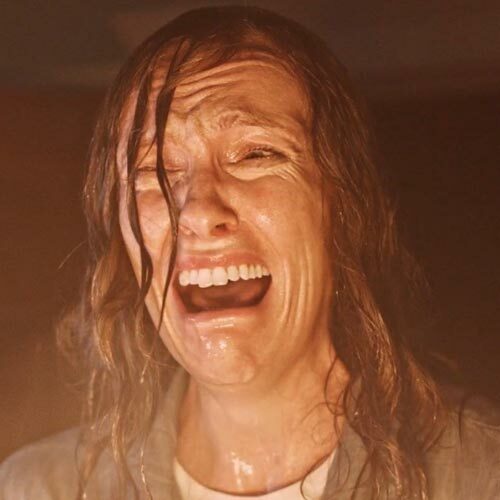 Hell House LLC II - The Abaddon Hotel is Coming to Shudder: Press Release: "Genre distributor TERROR FILMS has teamed up with SHUDDER, the leading premium streaming service for thriller, suspense, and horror, for the exclusive release of writer/director Stephen Cognetti’s highly anticipated sequel, HELL HOUSE LLC II – THE ABADDON HOTEL. The film will premiere exclusively on Shudder on Thursday, September 20th. The sequel will be available exclusively on Shudder for the first 90 days in the U.S., Canada, the U.K., and Ireland. As part of the release, SHUDDER is offering fans a 14-day free trial with promo code HH2TFSH – head to www.shudder.com and create an account to redeem it. TERROR FILMS initially announced a release date of September 14th several weeks ago when they dropped the Official Trailer and Poster. That date has since been pulled. AMC Networks’ SHUDDER is a premium streaming video service, super-serving fans of all degrees with the best selection in genre entertainment, covering thrillers, suspense, and horror. SHUDDER’s expanding library of film, TV series, and originals are available in the US, Canada, UK, Ireland, and Germany on most streaming devices for 4.99/month or 49.99/year. To experience SHUDDER commitment-free for 7 days, visit www.shudder.com." Yellow Veil Pictures Acquires Starfish: "Arthouse genre sales company Yellow Veil Pictures has acquired worldwide sales rights for cosmic horror film STARFISH, the debut feature from UK filmmaker A.T. White. The deal was finalized during the Toronto International Film Festival and comes ahead of the films world premiere at Fantastic Fest next week. STARFISH is an honest portrayal of loss, starring Virginia Gardner (HALLOWEEN, 2018; RUNAWAYS, 2017) as a young woman who struggles with the death of her best friend while trying to assemble a series of clues left behind in order to stop a monstrous end to the world as we know it. Driven by Lovecraftian imagery, White layers the film with upbeat indie music contrasted by a haunting, orchestral score also composed by the writer/director. STARFISH is produced by We Are Tessellate, Spellbound Entertainment, and 3ROUNDBURST Productions. Yellow Veil Pictures is a New York and Los Angeles based worldwide film sales company. Focusing exclusively on boundary-pushing genre cinema, seeking to highlight emergent filmmakers who exist on the cusp of commercial, arthouse cinema. The company currently handles worldwide sales on Tillman Singer’s Luz and the upcoming debut by Josh Lobo, A Man in the Dark." London Horror Festival Lineup Revealed: Press Release: "It’s … ALIVE! The UK’s biggest festival of live horror performance is resurrected for its 8th year. The London Horror Festival continues to grow to ever more monstrous size with help from their sponsor, Horror Channel. This year it returns to the Old Red Lion Theatre with over 30 productions to curdle your blood, chill your spine, and split your sides. For four weeks this Halloween season, theatre-goers will be subjected to shocking experimentations in drama, comedy, musicals, and spoken word. On this portentous year, they honor the grand matriarch of Gothic horror, Mary Shelley. She serves as the inspiration for the theme of their annual playwriting competition (“Women in Horror”), which continues to galvanize new talent and sets the festival in motion on the 7th October. On its 200th anniversary, they reanimate her most enduring creation, Frankenstein, with three new productions. Witness Frankenstein as never before: gender-bent by Burn Bright Theatre in their female-led retelling; frozen in the Antarctic wilderness by Two-Body Problem’s chilling contemporary continuation of the story; defiled by Fred Strangebone, who returns to put his twisted spin on Shelley’s classic. 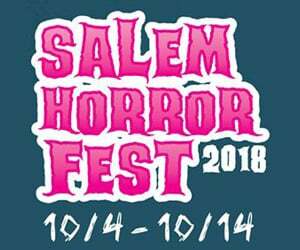 This year, the festival is teeming with monsters spanning the canon of classic horror, including a selection of Werewolf stories sure to satiate your appetite. You’ll be in good company with Werewolf: Live, a comedy game show fresh from Edinburgh Fringe. The award-winning Big Bad blends powerful feminist narrative with a dash of lycanthropy. Finally, seeing in the Werewolf Weekend is The Wolves of Erin, bringing you high-stakes cabin fever. The festival is proud to deliver a programme that pushes the limits of live performance. ‘Choose-your-own’ horror, The Teind asks participants to pick their own poison as they interact with characters via social media, phone, and email over the course of three weeks, before meeting one of the characters in person. The end of the festival coincides with the Mexican Dia de Los Muertos (Day of the Dead) celebrations. To mark the occasion, they will summon three productions from beyond the grave, going out with a bang on the 3rd November. Sunday 7th October, 7 p.m. The LHF continues to support emerging horror theatre talent with their annual playwriting competition. This year, in celebration of the 200th Anniversary of the publication of Frankenstein by horror icon Mary Shelley, the theme is Women in Horror. Dozens of entries have been received from across the UK and the winning play will be performed as a rehearsed reading, to launch the opening night of the London Horror Festival 2018. Sunday 7th October, 9:30 p.m.
Want to rid your life of fear? Then let renowned psychologist, Dr. Greenwood help. She promises there’s nothing to be afraid of… A one-woman motivational talk turned sour, Fear Itself is like a cross between a TED talk and Ghost Stories. From Les Enfants Terribles Award Nominees, Danse Macabre Productions. Monday 8th – Wednesday 10th October, 7 p.m.
Fred Strangebone has created a monster… Inspired by the greatest horror story of all time with assistance from a grotesque, buffoon and the contents of a very disturbing dustbin! A Horror show with character comedy, clowning and delightful unpleasantness. Monday 8th October, 9:30 p.m.
A brand new comedy game show fresh from Edinburgh Fringe, Werewolf: Live sees favorite comedians lie, manipulate and backstab as they try to uncover the murderous werewolves. Past guests include Marcus Brigstocke, Nish Kumar, Laura Lexx, Stevie Martin, and Alex Edelman. Expect chaos. Tuesday 9th – Thursday 11th October, 9:30 p.m. Welcome to a world where the Ministry of Justice has been privatized and you – the audience – become jury. You hold lives and destinies in your hands, and your votes are what determines what follows. Like Black Mirror with a pinch of Monty Python; it’s dystopian, twisted, and a great night out. The Teind is an interactive theatrical journey that offers an intensely immersive experience. A personalized horror story, just for you. This unique choose-your-own-adventure unfolds over three weeks. Remember, choices count. Ask questions. Seek clues. Prepare for your final meeting. Where will your story lead you? Thursday 11th – Saturday 13th October, 7 p.m. The Maydays have been gathering an army of fans around the world with their exceptional talent for creating skin-prickling theatre from nothing; dazzling audiences with their hugely popular and deliciously dark Tim Burton inspired musical tale. Created from a single audience suggestion, The Maydays weave a playful tale, full of bone-chilling black comedy and haunting songs, in this loose homage to the cult director’s gothic style, layered with influences from the Brothers Grimm. Friday 12th October, 9:30 p.m.
Lovers of scary stories, unite. Adding the fear factor to increasingly popular spoken word nights, storytellers from across the Horrorfest and beyond will share their worst (or should that be best?) nightmares at Blackshaw’s fourth annual Scare Slam. Prepare yourself for a night of chilling tales from both sides of the line of veracity. Saturday 13th October, 3 p.m. & 9:30 p.m.
Sunday 14th October, 3 p.m. The Other Realm brings Lovecraft's classic short story to the stage. Pickman is an artist of extraordinary talent, but his gruesome paintings are born of a terrible secret. A dark and shocking tale that reveals the boundary between an artist's genius and insanity. Sunday 14th October, 7 p.m.
Italian Horror Stories explores the Italian historical facts and legends that inspired gothic classics such as Dracula, Frankenstein and the Woman in Black. The show is divided into vignettes emceed by a devilish storyteller, the Prince of Darkness, who will lead the audience in an intriguing journey through ancient horrors. Sunday 14th October, 9:30 p.m.
Sunday 21st October, 9:30 p.m. Chaos reigns. April (“Positive Thinking guru for the YouTube generation”) is here to help us take back control. Together, we can manifest something greater than ourselves. Follow her. Monday 15th – Tuesday 16th October, 7 p.m.
Crocodile tells the story of Alan and Jane and their daughter Sarah, who is a crocodile. Winner of a Highly Commended Award at VAULT Festival 2017, Joe Eyre's dark, surreal, and horrifying comedy Crocodile returns this October. Monday 15th October, 9:30 p.m. Desperately trying to piece together the warning signs surrounding his alienated son Dean, Russell Proust dives further and further into reliving the mess his son has made. Hiding in a storm drain in the Nebraskan woods, he begins to see the extent of his neglect. Too bad it’s too late. Tuesday 16th – Wednesday 17th October, 9:30 p.m.
Saturday 27th October, 9:30 p.m.
All he wanted was a quiet weekend away, but someone forgot to pack the bin bags. All happy couples have a hobby. Eleanor and Stuart’s? Homicide. And when a local cabbie spoils their romantic weekend away, Eleanor knows exactly how to take her revenge. Wednesday 17th - Thursday 18th October 2017, 7 p.m.
Big Bad explores the themes of imprisonment, resistance, and sexuality within a feminist narrative in this blackly comic, supernatural horror with BITE! Don’t we all like an excuse to be bad? Thursday 18th – Saturday 20th October, 9:30 p.m. When tragedy strikes Elizabeth Frankenstein’s household, a dangerous obsession takes hold. But crossing the boundary between life and death comes at a terrible price. Featuring Burn Bright Theatre’s trademark brand of ensemble theatre, puppetry, and live music, ideas of gender and power are brought to life in a critically-acclaimed new retelling of history's greatest horror story. Friday 19th – Sunday 21st October, 7 p.m.
Northern Ireland, 1983. Full moon. A British soldier separated from his unit in an ambush takes shelter in a barn. Under the light of the full moon, fears grow that one of his companions for the night is a werewolf. A folk-horror, dark comedy of Catholic, Protestants, and werewolves. Saturday 20th - Sunday 21st October, 3 p.m.
Anna Savory; sole heir of Dennis Wheatley’s occult reference library, is back with the books! Take her gloved hand and let her guide you through three new tales from the dark heart of the library is terrible (but hilarious) detail. An Amicus-inspired portmanteau of comedy, storytelling, and fear. Monday 22nd October, 6:30 p.m.
Monday 22nd – Tuesday 23rd October, 9:30 p.m.
Join the merry macabre Miss Sylvia Sceptre for a Victorian adventure among the spirits. Audiences will be laughing and shivering in equal measure as Sylvia performs spooky mindreading and Victorian Spirit Theatre. Does she possess the gift of second sight or is it just female hysteria? Sylvia is a character created by performance artist and member of The Magic Circle, Careena Fenton. Tuesday 23rd – Wednesday 24th October, 7 p.m.
A comically ink-black corkscrew of a play - served cold. Wednesday 24th – Thursday 25th October, 9:30 p.m.
An evening guaranteed to be thrilling, chilling and funny as hell. Thursday 25th – Friday 26th October, 7 p.m.
A semi-immersive folk horror play in the round examining our attitudes to ritual, revenge and the uprising of female power. 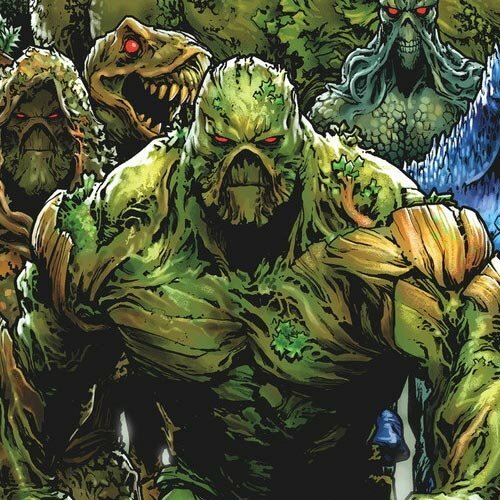 Can community lead to mob mentality? What are ghosts and demons and do they come from below or from within? Join our coven for one night to encounter comedy, folk horror and - perhaps - some demons. Friday 26th October, 9:30 p.m.
Sunday 28th October, 3 p.m.
Abi is a comedienne suffering from a strange demonic ‘illness’. Lloyd is an everyday Cult leader who is equal parts evil… and fabulous. A mysterious stranger arrives – is he their Satanic salvation? Or does he hold even darker secrets? A dark comedy play from those behind The Twins Macabre. Friday 26th – Saturday 27th October, 11:59 p.m.
Chamber Piece Theatre presents a late-night portmanteau, written and presided over by Patrick Chivers. It’s a three-course Midnight Feast of Horror - featuring restless spirits, tormented psyches and a fateful trip to the Scottish Highlands. See this and it’ll haunt you for the rest of your life! Saturday 27th October, 3 p.m.
Join us for the kitsch-est horror panel show around - What's The Bloody Question! 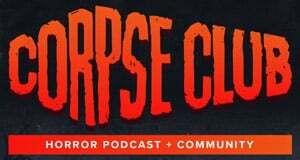 Two teams will battle each other in a crusade of horror knowledge, skill and... well, probably play-doh. Will Festival curator Katy Danbury beat Chris Nials of The London Horror Society on home turf? All will be decided on the day of reckoning. Or, as it's known to us mortals, Saturday, 27th October. Saturday 27th – Sunday 28th October, 7 p.m. In 1876, tragedy befell a remote Scottish lighthouse. Three crewmen went missing, leaving one witness: Mary Campbell. Twenty years later, via the miracle of mesmerism, she will finally share the terrible secrets of Skerryvore! Sunday 28th October, 9:30 p.m.
Two brand new stories of the uncanny, the macabre and the ridiculous in this long-running horror-comedy audio drama. 3 actors play 10 roles and provide live foley sound effects in an old-fashioned radio drama with special guest performers and live music. Monday 29th – Wednesday 31st October, 7 p.m.
Dominic Allen (Belt-Up, A Common Man) and Simon Maeder (Superbolt Theatre) present a darkly comic journey through the life and works of America’s most infamous horror writer, HP Lovecraft. 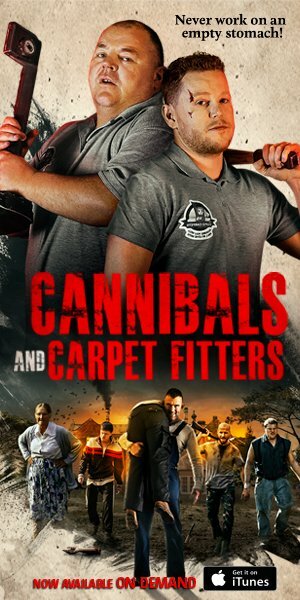 Monday 29th – Wednesday 31st October, 9:30 p.m.
Kurt is an ordinary guy with a very unfortunate living situation: his three roommates are all notorious local serial killers. But times are tough and he's making it work. At least, he WAS, until his new girlfriend Caroline pops by for an impromptu visit. Thursday 1st – Saturday 3rd November, 7 p.m.
Based on Frances Farmer's real-life story, this campy, undead romp deals with the tremendous ups and downs a life of fame can bring, especially when everyone in your life wants to control it. Extremely dark and occasionally funny, this is one show that’s just to die for. Thursday 1st – Saturday 3rd November, 9:30 p.m.
Viola has a problem. Her best friend Asenath doesn’t seem to be quite right. In fact, she may be just a little bit dead… Gender switching H.P. Lovecraft's classic story of necromancy "The Thing on the Doorstep," T.L Wiswell tells the tale of a female master of this darkest of arts. Saturday 3rd November 3 p.m.
Frankenstein is revivified in this contemporary retelling. A researcher travels to the frozen south, where scientists are reaching far into the unknown – and perhaps the unthinkable. It is 200 years since Mary Shelley’s novel, the ice is thawing, and science is still dancing with the problem of death. Horror Channel is the premier U.K. channel dedicated to the fearful and the fantastic. With a curated mix of ground-breaking and genre-defining content including niche, cult, and box office smash movies, alongside fantasy, science fiction, and supernatural series, audiences will be entertained and terrified. 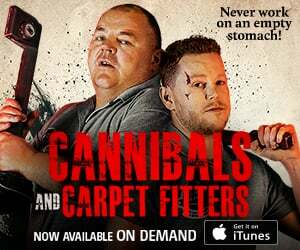 Available in over 26 million UK households, Horror Channel and timeshift channel Horror Channel +1 attract an average of 6 million adults every month. Popular programming includes TV series “Star Trek: The Original Series”, “Lost in Space”, “Andromeda” and “Under the Dome”, and a movie portfolio spanning horror, disaster, thriller and fantasy genres, celebrating the stuff of dreams and nightmares. 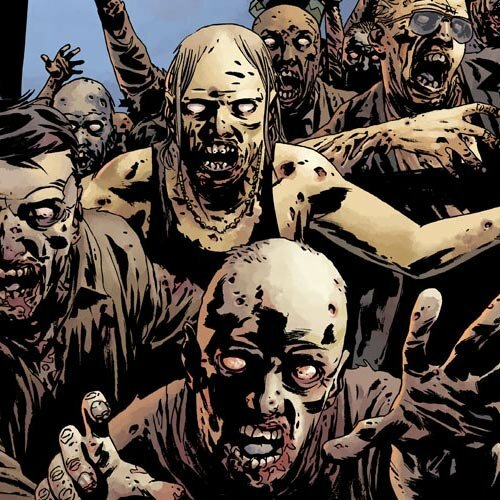 Launched in November 2009, Horror Channel is part of the fastest growing portfolio of entertainment channels in the UK, a partnership between CBS Studios International and leading international broadcaster AMC Networks International - UK. AMC Networks International – UK is a business unit of AMC Networks International which delivers entertaining and acclaimed programming to Africa, Asia, Europe, Latin America, and the Middle East. For more information, visit: www.amcnetworks.com/amcni." Check Out the Ghost Light Trailer: "Making its world premiere at the Los Angeles Film Festival this month, check out the first trailer for Ghost Light, the story of an unfortunate Shakespearean acting troupe that unleashes the infamous curse of Macbeth with horrifying results. Saturday, Sept. 22nd at 6:30 PM at the ArcLight in Culver City. Nothing is more sacred to true Shakespearian actors than “The Scottish Play,” which demands a deep reverence to always be exhibited both onstage and off during a performance. Except for the reverence from ennui-engulfed Tom Riley is a bit lacking, to say the least. He’s in love with the beautiful Liz Beth, wife of pompous ham Alex Pankhurst. Liz and Alex are playing—respectively—Lady Macbeth and Macbeth in the small stage production they’re preparing for their local New England theatre. And Liz loves Tom back. Also: Tom wants to play Macbeth. Their underfoot costars make it almost impossible to be alone until Tom decides that the Scottish Curse so oft-mentioned by actors is just baloney. That’s when the witches, ghosts, and murder-mayhem really get started and Tom, Liz Beth and everyone else, find themselves trapped in a stage play nightmare, albeit a hilarious one." 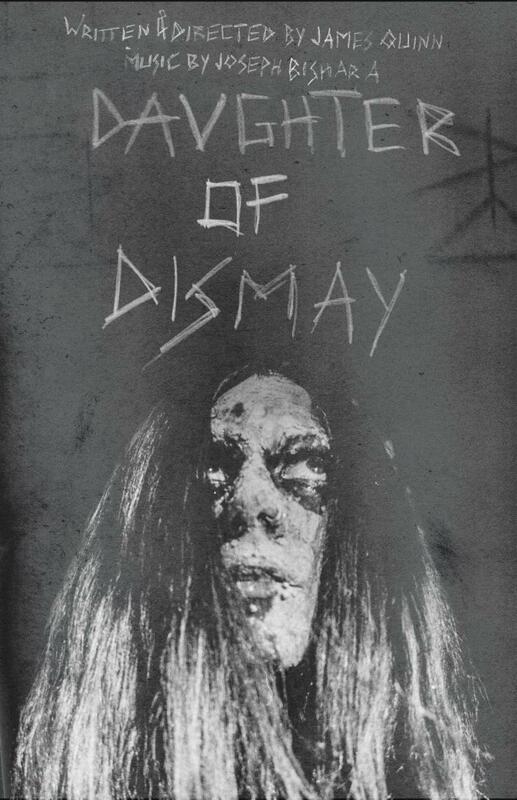 Daughter of Dismay Production Details: "Sodom & Chimera Productions has announced principal photography of Daughter of Dismay, the latest blending of arthouse and horror from experimental filmmaker James Quinn. Daughter of Dismay will start principal photography on September 22nd, deep in the Austrian woods. Of his latest work, Quinn said, "After having directed several very experimental works like Flesh of the Void, The Temple of Lilith and Sulphur for Leviathan, all of which combined very raw emotions and extremely controversial themes with arthouse-heavy 16mm cinematography, mostly without clear storylines, I realized the potential of arthouse cinema. Many people seemed to love the focus on visual filmmaking, even people who otherwise weren't interested in the extreme experimental aspects. It was for this reason that I made it my goal to create a short film that still focuses on these elegant, painting-like visuals, but does so on a much larger scale, with a very linear story and non-experimental execution, something that even the most traditional horror fans will be able to enjoy. The decision to shoot on 65mm was made to convey the most breathtaking and epic style the film could have, a style most people know from classic blockbusters, combining it with classic horror elements as well as those of gut-punch dramas." Quinn has hired Ziryab Ben Brahem as the director of photography. The score of the film will be created by Joseph Bishara, the mastermind behind the musical compositions of films like the Insidious series, The Conjuring 1 & 2, Annabelle 1 & 2 and Dark Skies. The visual effects will be created by producer Justin Schenck, who has previously worked on the effects of Swordfish and the cult TV series "The Exorcist". Daughter of Dismay tells the surreal and mystical tale of an emotionally broken witch. She enters the darkness of the woods to fulfill her biggest desire, for which she takes extreme and radical measures that will have sinister consequences. Portrayed in elegant painting-like, the film is an epic, moving and emotional trip through a world of witchcraft and occultism, leading to a heartbreaking and melancholic finale."